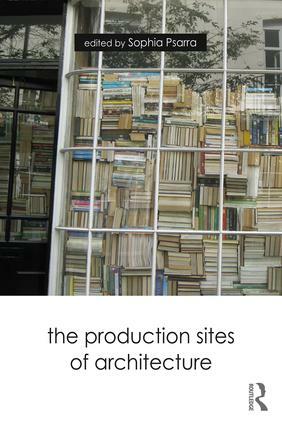 The Production Sites of Architecture examines the intimate link between material sites and meaning. It explores questions such as: how do spatial configurations produce meaning? What are alternative modes of knowledge production? How do these change our understanding of architectural knowledge? Featuring essays from an international range of scholars, the book accepts that everything about the production of architecture has social significance. It focuses on two areas: firstly, relationships of spatial configuration, form, order and classification; secondly, the interaction of architecture and these notions with other areas of knowledge, such as literature, inscriptions, interpretations, and theories of classification, ordering and invention. Moving beyond perspectives which divide architecture into either an aesthetic or practical art, the authors show how buildings are informed by intersections between site and content, space and idea, thought and materiality, architecture and imagination. Presenting illustrated case studies of works by architects and artists including Amale Andraos, Dan Wood, OMA, Koen Deprez and John Soane, The Production Sites of Architecture makes a major contribution to our understanding of architectural theory. 8 When Does Space Afford a Fleeting and Contingent View of You?